Founded in 1978, Cardinal Lawn Scapes is a family owned and operated business providing beautiful hardscape and landscape designs in Winston-Salem, Mt. Airy, King, Summerfield and Smith Mt. Lake. Owner Cory Snow is dedicated to his clients and takes the time to design and concept their project, address any concerns before the project begins and provide quality craftsmanship that ensures that your project not only meets but exceeds your expectations. We invite you to visit our hardscaping and landscaping sections for more information or contact us with questions or to schedule your consultation. Cory Snow began his work with Cardinal Lawn Scapes at age 11 helping his father mow lawns. Since then, the company has grown and Cory and his father Max provide many more services to their customers. After joining the company full time in 1996, Cory oversees the landscaping and hardscaping divisions and also meets personally with each client. He provides landscape design and project consulting taking the time to understand the clients needs, preferences and budget. He also manages to work hands on in the field on a daily basis. This business practice demands much of Cory’s time but feels this is necessary to ensure the clients’ vision for their landscape is met or exceeded. Cory strives to build not only a business transaction but a personal relationship with each client. Cory and his wife Emily have two daughters, one son and live in King, NC. They enjoy spending time with family, traveling, and outdoor activities. They are active members of Quaker Gap Baptist Church where Cory is a Deacon and they teach children’s Sunday school and participate in mission work here and abroad. Cory enjoys riding his Harley Davidson and restoring antique cars with his father Max. Max Snow, the founder of Cardinal Lawn Scapes was employed full time with RJR Tobacco Company for 28 years. While working inside the plant for so long, Max’s true desire was to be outside. He began mowing lawns and grooming beds for eight clients in 1978. As the business grew over the years, Max felt that in order to serve his clients better he needed to devote all of his time to Cardinal Lawn Scapes. This drove him to an early retirement from RJR in 2003 where he joined his son Cory as overseer of the landscape maintenance division of Cardinal. Max oversees the landscape maintenance division of the company where he works with the clients to ensure the maximum care of their lawn and landscape. He feels it is important to properly maintain his clients’ landscape so it can grow to its fullest and healthiest potential. Max and his wife Terri, who is the secretary of the company, have two married children and three grandchildren. 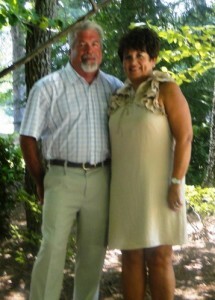 Max and Terri love to travel with family and friends and Max also enjoys riding his Harley Davidson motorcycle. They attend Quaker Gap Baptist Church where Max is a deacon and both enjoy mission work.